Summer. What better time to be outdoors: The sun shines, a breeze goes through the grass, a light pack is on your back, butterflies fly by, and you wear a light shirt to keep you cool. 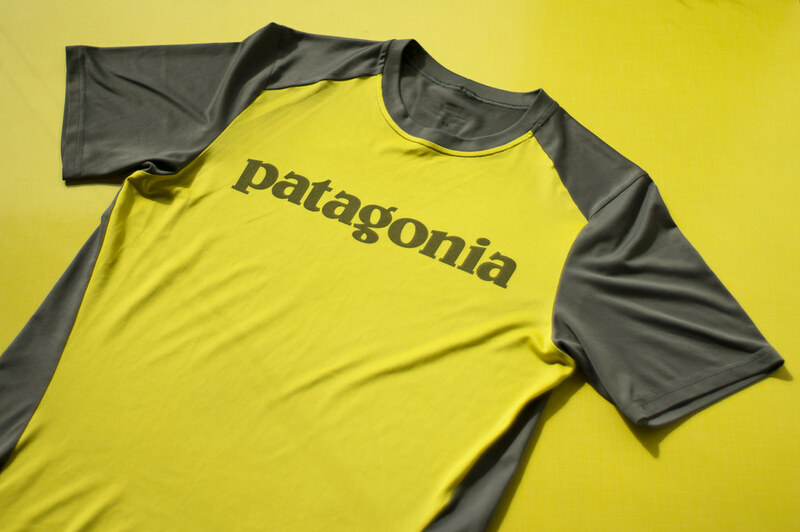 If you look for the lightest shirt with the best environmental credentials and great looks, then you won’t need to look further than the Patagonia Capilene 1 Silkweight T-Shirts. I love mine and its probably my most-worn shirt if I hit the trail. It dries in mere minutes in the sun, the funk (that’s informal American English for smelly) is minimal and 15-UPF sun protection keeps you from burning (although it could be more). It’s surprisingly durable for being so light, climbing and bushwacking didn’t pull a single thread from it, and it’s been in use since two years already. 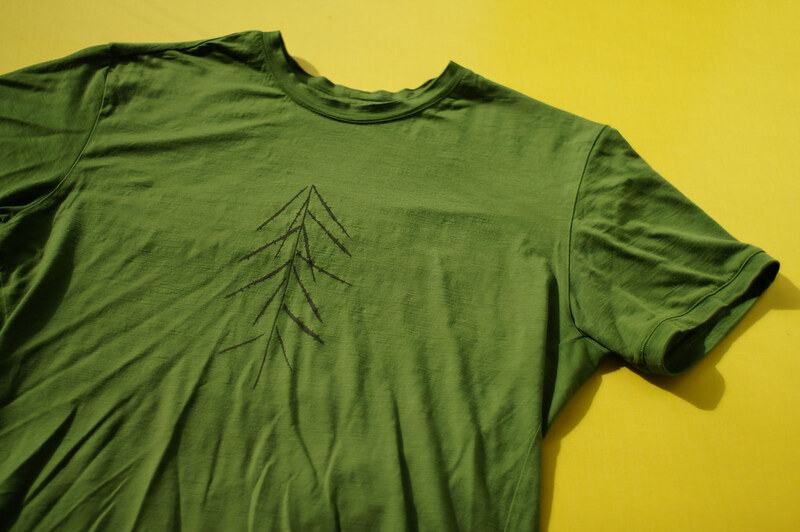 It feels very good on the skin and you’ll look good with this shirt on the trail as well as walking the dog in town. My go-to shirt, if it’s not in the wash! This shirt has been updated since I got it (it’s the problem of testing gear long-term, ya see!) and now sports mesh underarm panels, which does seem like a very nice improvement. However, my “old” shirt is still looking good as it is quite durable. It’s a good looking shirt, though after a few days wearing it on the trail it needs a wash as the guff (that’s informal Scottish for smelly) is tangible. It’s UPF Rating of 50+ keeps your skin aristocratic white, while the flatlocked seams add much comfort to the wearing experience. 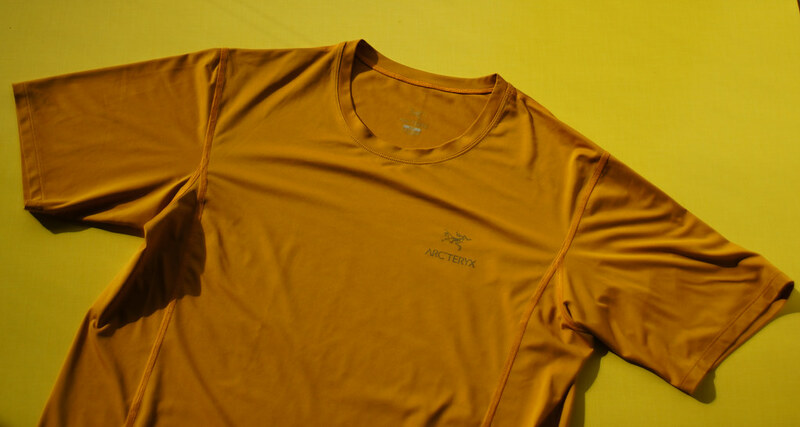 The fabric comes in a bunch of nice colours, and once you’ve hiked up a mountain in 35°C and the shirt is drenched in your sweat the fabric’s quick-drying capabilities will kick in and you’ll have a dry shirt in no time (well, maybe about 10 to 15 minutes). 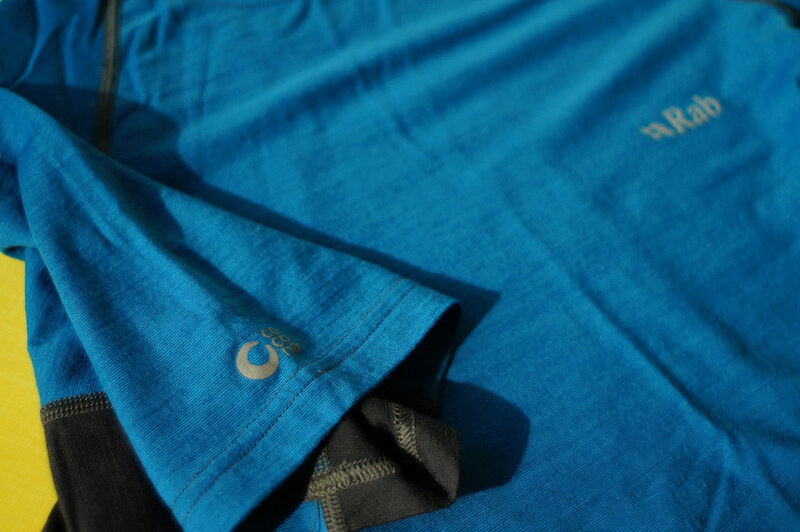 A shirt made of ethically sourced Australian Merino wool and recycled polyester with Cocona technology which has gotten a lot of positive reviews. I have found them great shirts, the 120g/m² fabric is light and dries very fast, rivalling the synthetic shirts above. They do pill a bit, but it’s just a cosmetic thing and doesn’t affect it’s durability. Speaking off, I used mine for climbing, hiking, cycling and everyday use for over 12 months, and they still look great. The reflective details are a nice touch which cyclists and pedestrians will appreciate, and the flatlock seams make them comfortable to wear. They also do not easily smell, I can wear mine for five days and more and they still don’t reek. If you’re looking for the best of both worlds - that’s merino & synthetic combined - then you’ve found it with Rab’s MeCo garments. Here’s more info on Cocona if you’re of the curious kind. 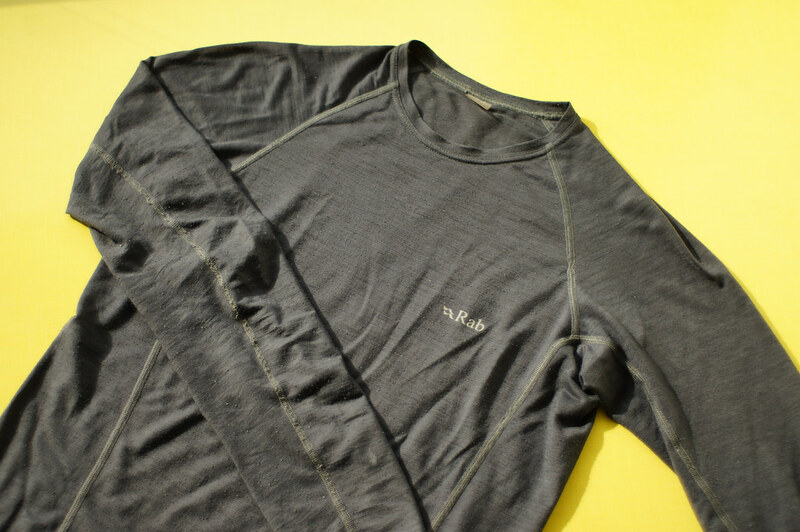 The same material and properties than the Rab MeCo 120 Tee above, I have used this longsleeve on colder days in spring and autumn, and as a layering piece in winter. Because it dries so fast it is in winter quite nice to wear, but not on its own - an Aclima Woolnet longsleeve underneath it is a great combination. Also for summer use, if you want to protect your arms a bit more from the sun or easily get cold in a stiff breeze, this longsleeve fits the bill. Of course these aren’t all lightweight shirts that are available. 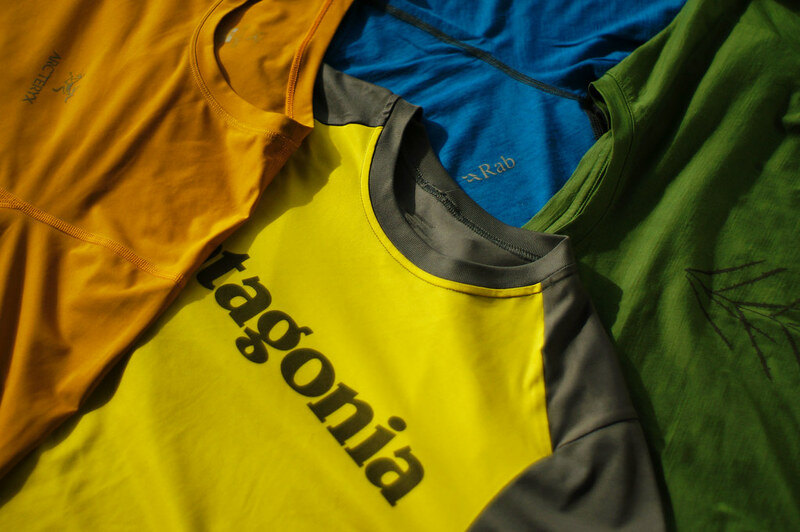 You can get good shirts from Chocolate Fish, The North Face, Mountain Hardwear, Outdoor Research (which also make Insect Shield shirts! ), Salomon, Marmot and many more.